Blog › 2014 Ryder Cup pairing to be announced at the opening ceremony! Do you know who Di Dougherty will announce for the pairings of the four-ball matches Friday? Like us, you maybe on the edge of your seat awaiting the 2014 Ryder Cup pairing to be announced at the opening ceremony! Team Europe and Team USA will be seated proudly on either side of the stage this Friday evening. As you may have seen, often players have known each other and been friends, as well as competitors since their Junior Ryder Cup matches. Many have been enjoying the team spirit witnessed in Scotland, on the Gleneagles golf course, prior to the tournament start. The official team photos were taken once the teams arrived at the stunning location, which holds its history of hosting some of the best golf players in the world. While captain Tom Watson hasn't tipped his hand, practice rounds and common sense allowed our Alex Miceli to take some educated guesses on which U.S. players will be paired together come Friday at the Ryder Cup. 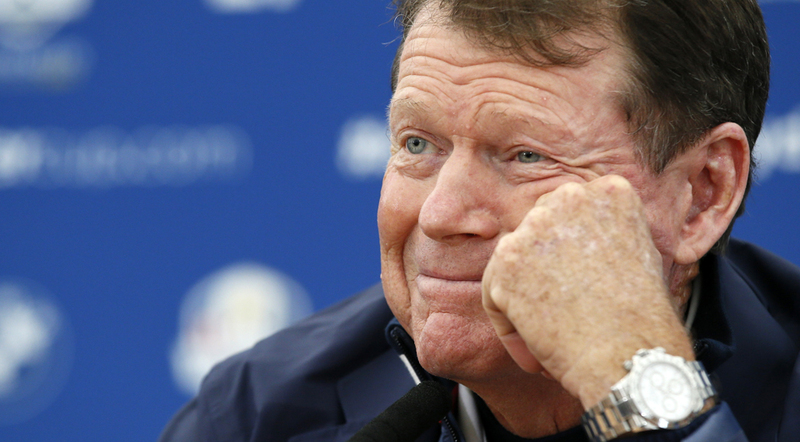 Many have tried to estimate the golf player pairings in advance...USA team captain Tom Watson has been no exception. He has faith that his team will win this year and has estimated the pairings shown in the article link above! Whether Europe or the USA win one thing is for sure, the team spirit and support from both sides is stronger than ever! "It's something we do once a year, that's really amazing to be part of" Matt Kuchar, team USA. The Ryder Cup is an event which is taken very seriously by all professional golf players, who equally enjoy taking part in the event itself. Kuchar went on to discuss how many birdies can be made and how he loves the atmosphere of the teams this year.